We all love dogs as they are one of the best companions we have. Though they can’t speak our language, they can be a great source of love and care. What dogs are also known for is their courage, loyalty and high energy. Among the various breeds are some of the black dog breeds that always stand out. 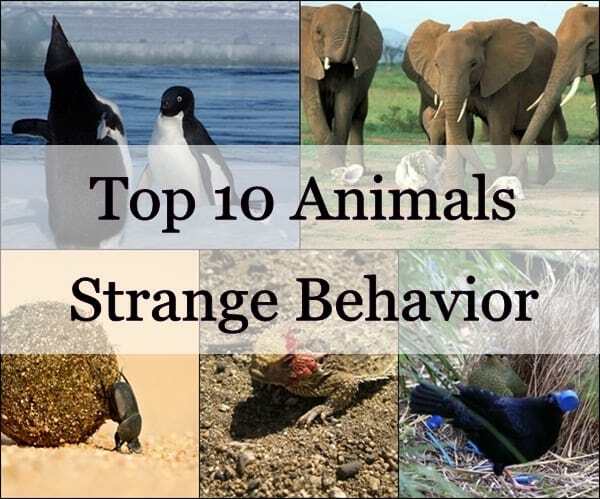 These breeds have a nice set of dogs that excel in probably all the scenarios. Let’s have a look at some of the favourite black dog breeds. 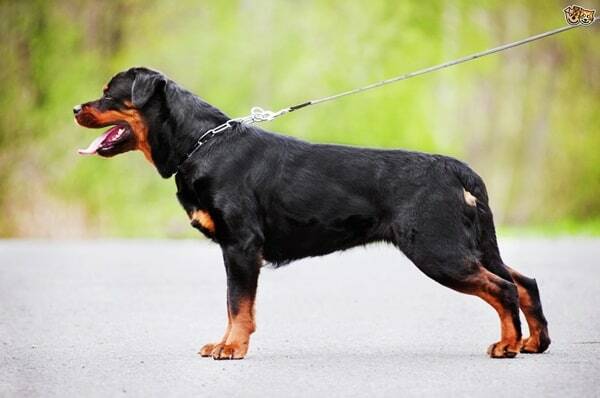 Rottweiler is a breed which originates from Germany. Earlier, Rottweilers used to herd livestock and pull carts with butchered meat to markets but now the process is replaced by railways. They now work as search and rescue dogs, guide dogs for blinds or also as police dogs. Some of the best qualities they posses are being good natured, devoted, alert and courageous. They are also very popular as family guardians and friends. Doberman pinscher, popularly known as Doberman is a medium large sized domestic dog. They originate from Germany and in the early 19th century, they were used as guard dogs. They are a mix breed of Rottweiler, Black Terriers and German Pinscher. 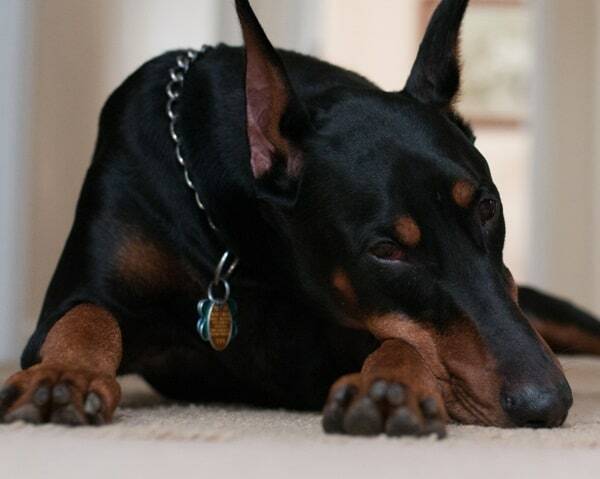 Dobermans are strong and sometimes they can also be stubborn. Height of a male Doberman is around 66-72 cm whereas females are around 61-68 cm. A Male Doberman weighs around 34-45 kg and female ones weigh 27-41 kgs. They are highly energetic and intelligent dogs, best used for police and military work. 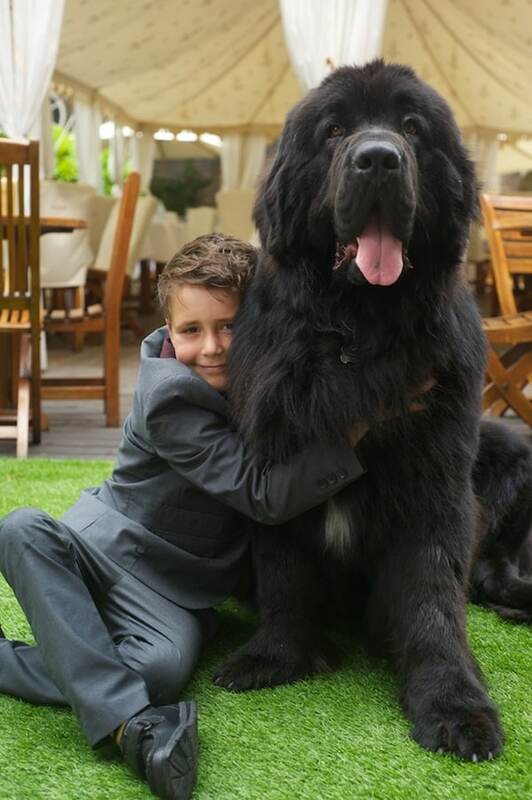 Newfoundland is one of the strongest breeds of dog which is perfect for being a lifeguard. He was originally used as a working dog for pulling nets for fishermen and haul wood from the forest. The breed Newfoundland originates from Canada. It is well suited for working on both land as well as water. 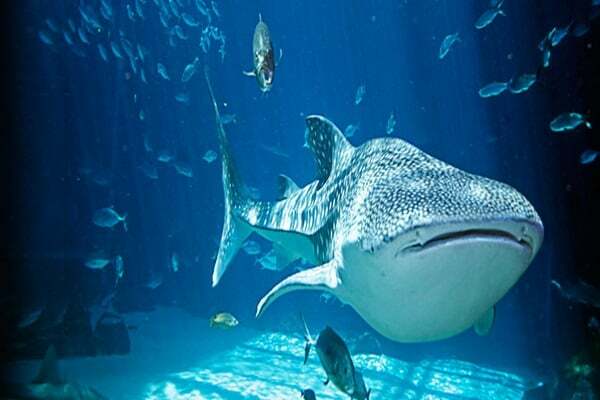 It is known for its giant size, calm dispositions, loyalty and also forbeing anexcellent swimmer. Miniature Pinscher originally hails from a part ofGermany. 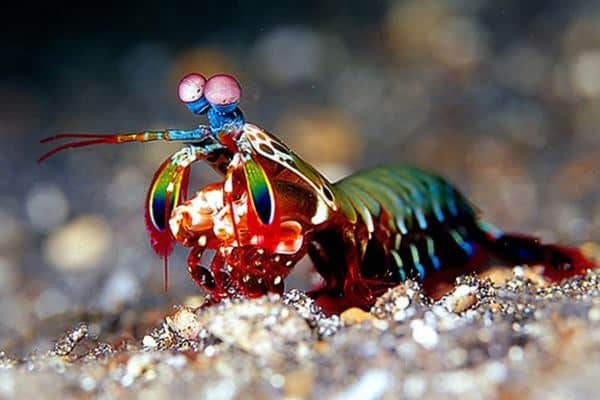 It is primarily used to hunt vermin. Pinscher breed of dogs look exactly like Doberman but are a little smaller in size. 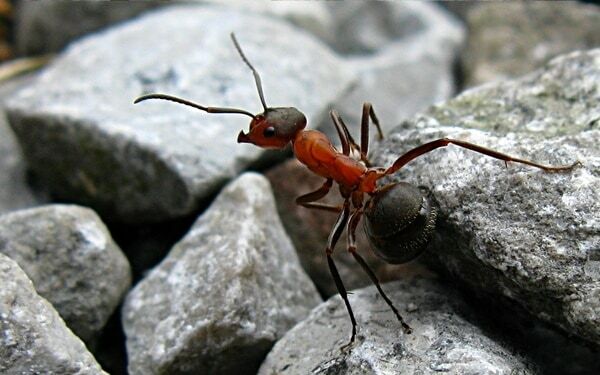 They are known for their vigorous courage and energy. 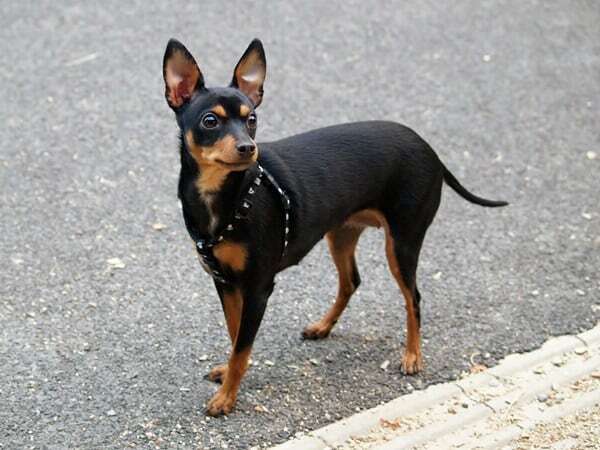 Height of a male Miniature Pinscher is around 25-30 cm and females are around 25-28 cm. Male miniature pinscher weigh around 4-5kgs and femalesareof 3.5-4 kgs. 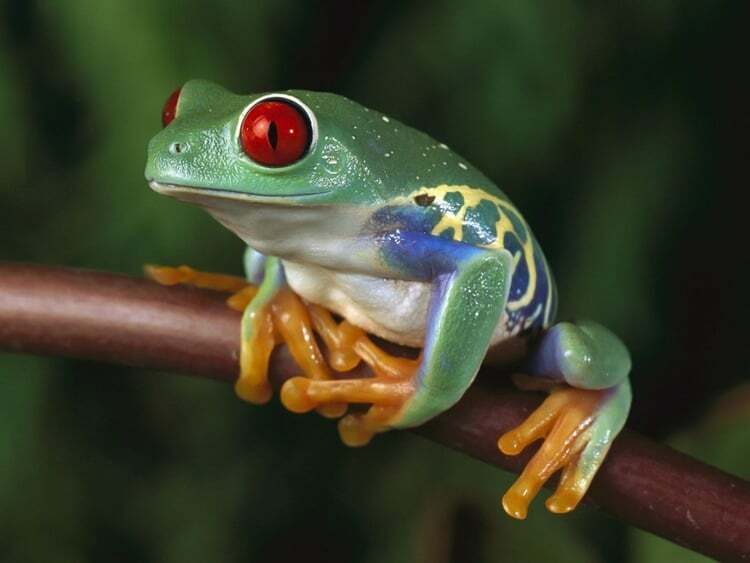 They are excellent watchdogs because of theiroutgoing, playful, clever and energetic nature. Portuguese water dogs like you would guess from the name belong to Portugal. Before they started being adopted as pets, they used to work on fishing trips, retrieving lost gear and herding fish into nets. 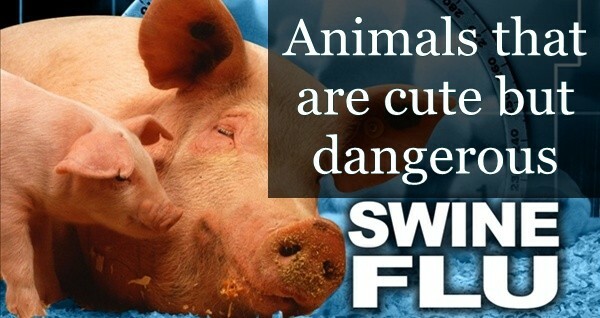 They are obedient, brave, intelligent and loving in nature. 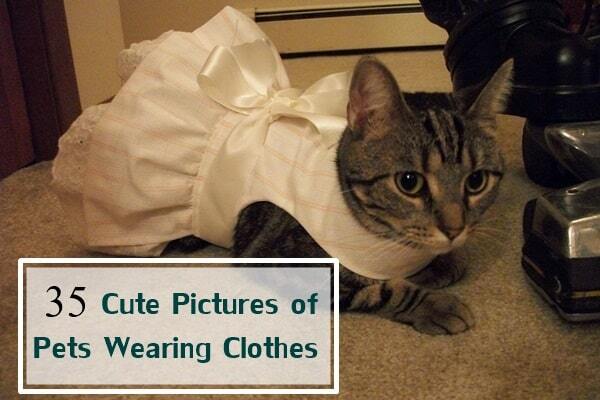 Their coat is hypoallergenic, non shedding and completely waterproof. 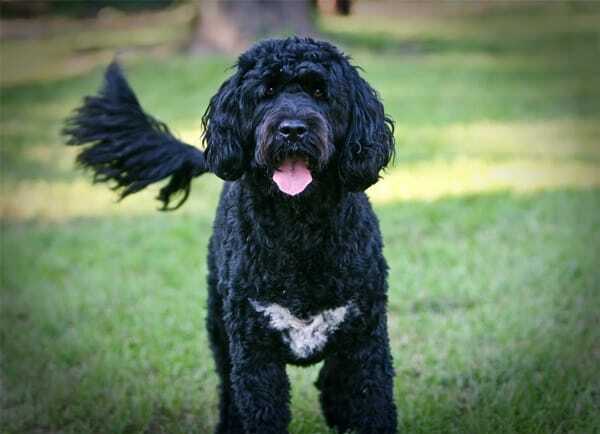 It has gained more popularity after being the chosen breed of the U.S president Barack Obama. 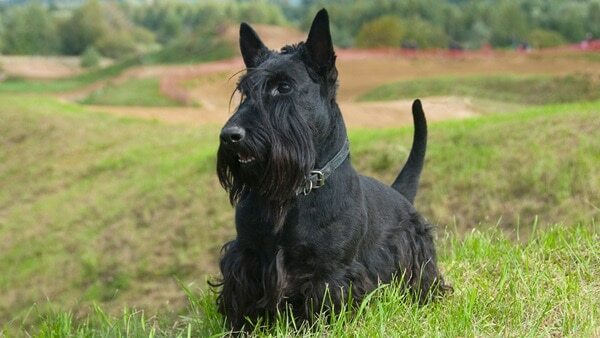 Scottish terrier, also known as Scottie originates from Scotland and it has an independent and stubborn character. Scottish terrier has a hard and wiry soft undercoat which feels good to lay hands on. 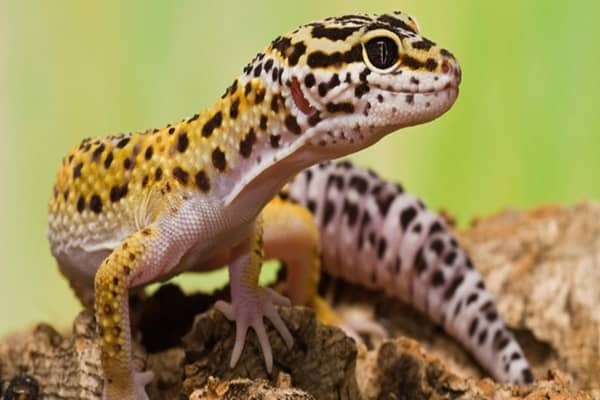 They are playful, feisty, alert and very quick. Scottish terrier is a small breed of terrier with a distinctive shape and has many roles to play in popular culture. The black breed Cane Corso originates from Italy. They are a large Italian breed of dog that is also known as Italian mastiffs. This breed is reserved, calm, quiet and evenly tempered. They are also very well muscled and less bulky than other mastiff dogs. 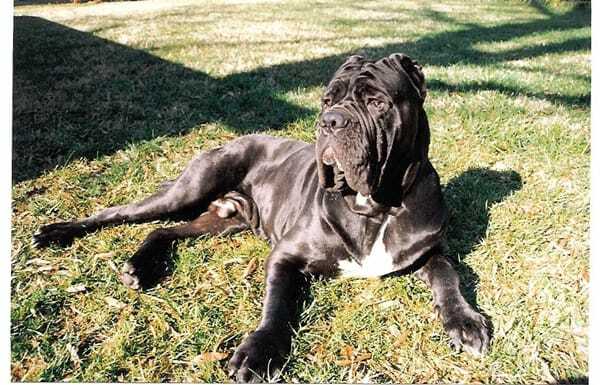 Cane Corsos are closely related to Neapolitan mastiffs and have many similarities with them. Most of the Cane Corso assist in guarding big properties and hunt big wild boars. For many people, they are the favourite black dog breed. 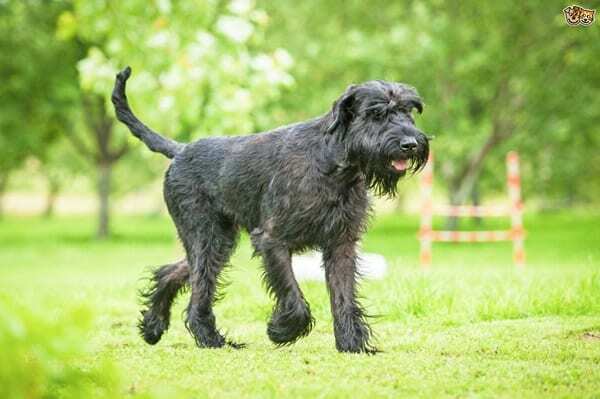 Giant Schnauzer is a working dog breed which is natively from Germany. This breed is the largest in the Schnauzer family. Giant Schnauzers are loyal, intelligent, powerful and kind in nature. Originally they were used as multipurpose farm dogs for guarding properties and driving animals to market. In today’s era, they are used as police dogs and are trained for obedience, herding, search and rescue. 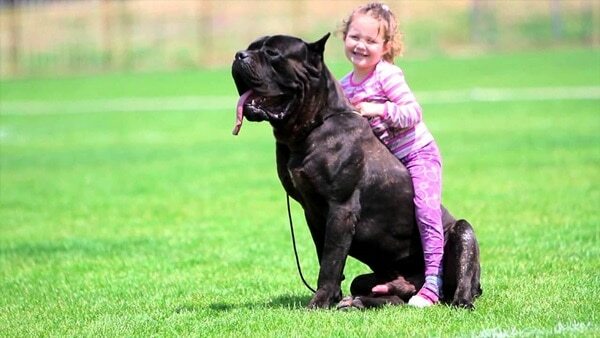 Neapolitan mastiffs area giant dog breed and they originate from Italy. 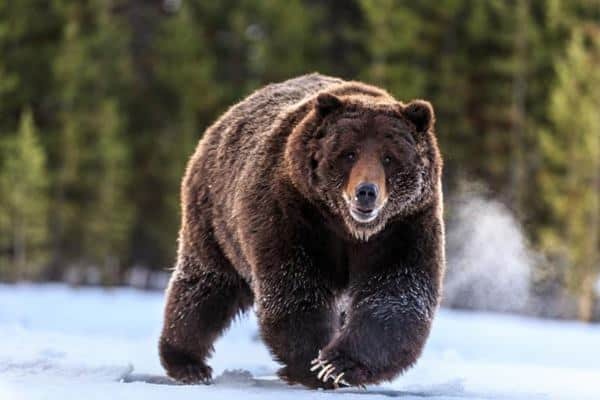 They are extremely fearless, obedient, stubborn and protective in nature. Neapolitan mastiffs act as brilliant guard dogs. 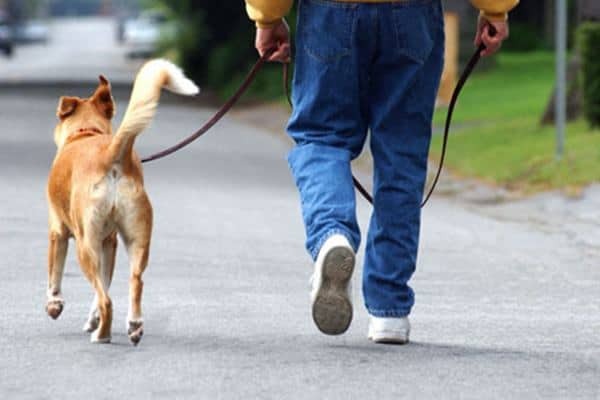 They are an intelligent dog breed with the tendency to be an independent thinker. 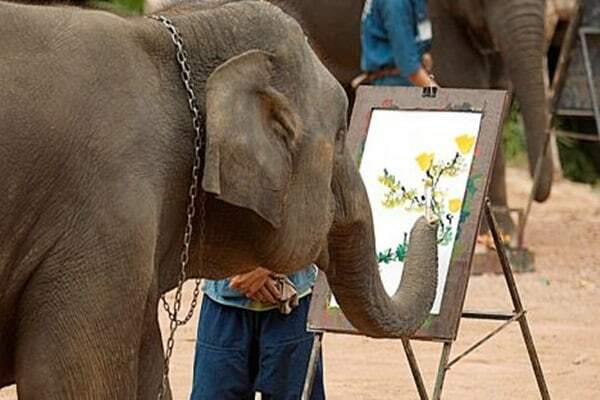 They are also trained to bait Bulls, Bears and Jaguars. These are some of the most favourite black dog breeds of people and there are various others to look out for. If you are planning for getting a black dog breed, these are some of the best ones you will find. 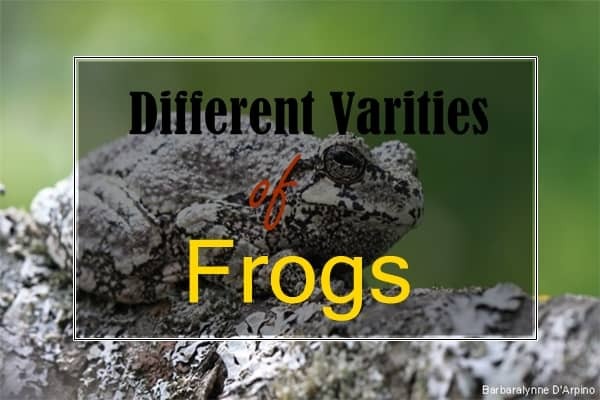 All the characteristics and details of these breeds are given so that you can have a deep insight into their personalities and traits. Go ahead and decide for yourself which is your favourite black dog breed.